But starting in 2015, road safety hit the skids when the number of people lost in crashes jumped 7.2 percent from 2014, the largest percentage increase in 50 years. And the news for 2016 may be even worse as the National Highway Traffic Safety Administration (NHTSA) recently projected an 8 percent increase in traffic deaths for the first nine months of 2016 over 2015. Some safety experts have blamed the increase on more drivers traveling more miles. Longer commutes and more road trips, coupled with cheaper gas and lower unemployment, add up to more drivers on the road. Even those not in vehicles are at a higher risk as car-pedestrian and bike fatalities have risen as well. But NHTSA’s Administrator Mark Rosekind said he and his colleagues can’t accept that a better economy means more people are going to die on our roads. “We still have to figure out what is underlying those lives lost,” he said. To that end, NHTSA and the National Safety Council joined forces to launch the Road To Zero campaign which aims to end all traffic fatalities in the U.S. in the next 30 years. This campaign provides grants to non-profits that help research and implement innovative highway safety measures. According to the NH car accident lawyers at Manning & Zimmerman, the spike in injuries and deaths from crashes is often blamed on the use of smartphones. Data from the Pew Research Center shows that almost 80 percent of U.S. adults own smartphones. More than 600,000 of those people are operating a smartphone while driving at any given time. Texting and driving have proven to be a dangerous combination, with 78 percent of distracted driving-related crashes attributed to texting drivers. However, dangers from non-texting apps that encourage driver interaction have also arisen. The messaging app Snapchat features a speed filter that tells users how fast they are traveling, which some have argued encourages drivers to travel at unsafe speeds. A man who suffered a traumatic brain injury during a recent collision is suing both the other driver for her recklessness as well as Snapchat for encouraging the teen to drive at unsafe speeds. Waze, a navigation app, rewards users for reporting traffic jams and roadside obstructions while driving. 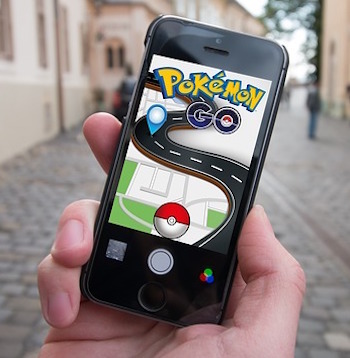 The “Gotta Catch ’Em All” mentality of Pokémon Go has caused accidents when users ignored safety to play the game. Silence and put away all phones for the duration of your drive. Keep your eyes on the road and leave the distractions at home. When buying a new or used car, prioritize safety ratings and purchase cars with safety features. Also be sure to run a recall check on your car at SaferCar.gov. If you are a pedestrian or bicyclist, pay attention to vehicle traffic even if you have the right of way. A distracted driver could mean disaster. Follow all posted speed limits and wear your seat belt. Always drive alert, awake and sober. Our civil justice system provides for victims of negligence to recover full, fair and adequate compensation for their injuries. 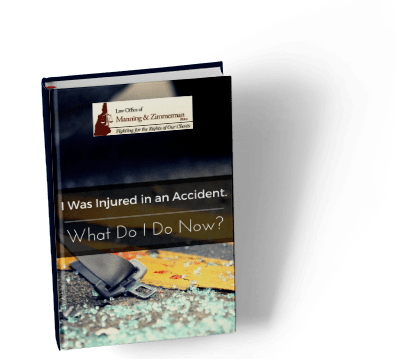 The NH car accident lawyers at the Law Office of Manning & Zimmerman, PLLC handle cases in all areas of personal injury law, and we work diligently to ensure that our clients receive compensation for their injuries. There are no up-front costs for our services. All personal injury cases are handled on a contingency basis, meaning that we are only paid for our services if we successfully recover damages from the responsible party. For a free consultation, call (603) 239-2315, email us at info@manningzimmermanlaw.com, or contact us by using the “contact us” form or chat feature on our website.